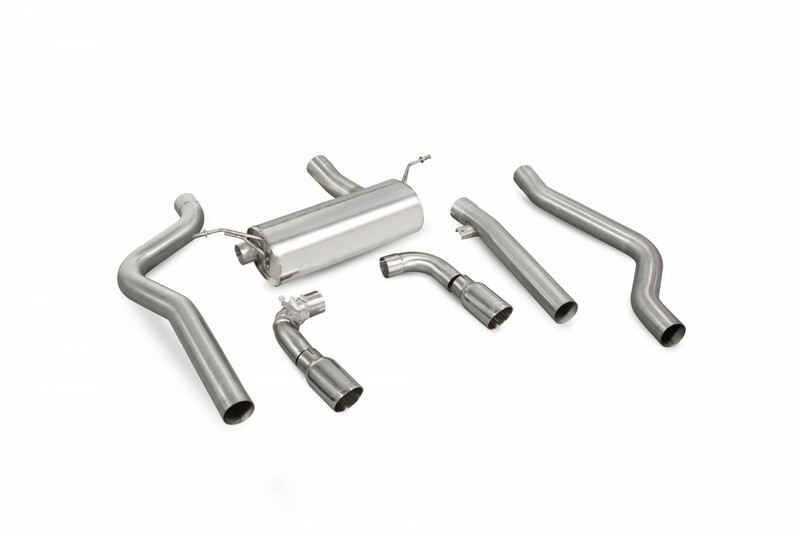 You are here: Home / New Arrivals / New Exhausts from Scorpion! Hey, everyone! 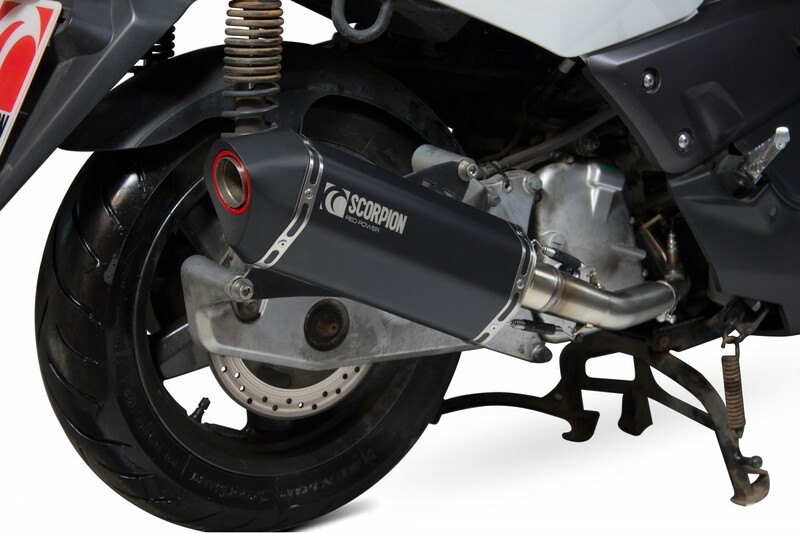 Decided I’d take a break from writing about boots, gloves, jackets and helmets to do a quick little entry to say that there are new Scorpion Exhausts available! And the new exhausts are a very mixed bag, there’s one for a big bike, one for a little scooter and one for a car. 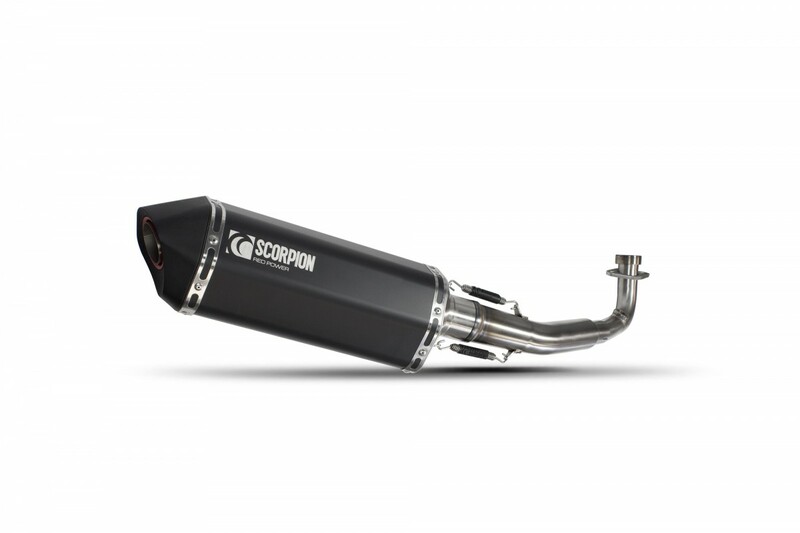 Thanks for keeping things interesting, Scorpion! 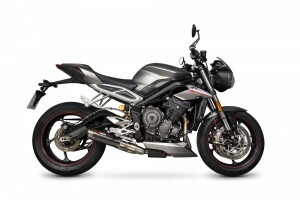 We’ll start with the Exhaust for the big bike- A new Euro 4 EC approved slip-on exhaust for the Triumph 765 Street Triple. 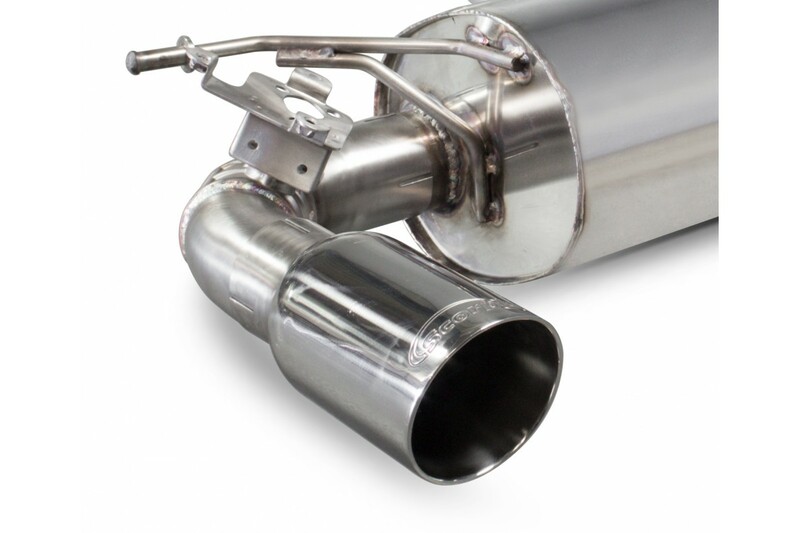 Technically two, actually. The first is the famous Scorpion Serket Taper Silencer. It connects the bike’s standard exhaust system to a special S bend link pipe which includes an acoustic chamber, this lengthens the exhaust without adding a ton of metal on to one side of your bike and regulates the noise coming out of the exhaust. It’s available in Carbon Fibre, Titanium and Stainless Steel finishes. And my personal favourite of the Scorpion exhausts, purely for looks, is the RP-1GP Silencer. 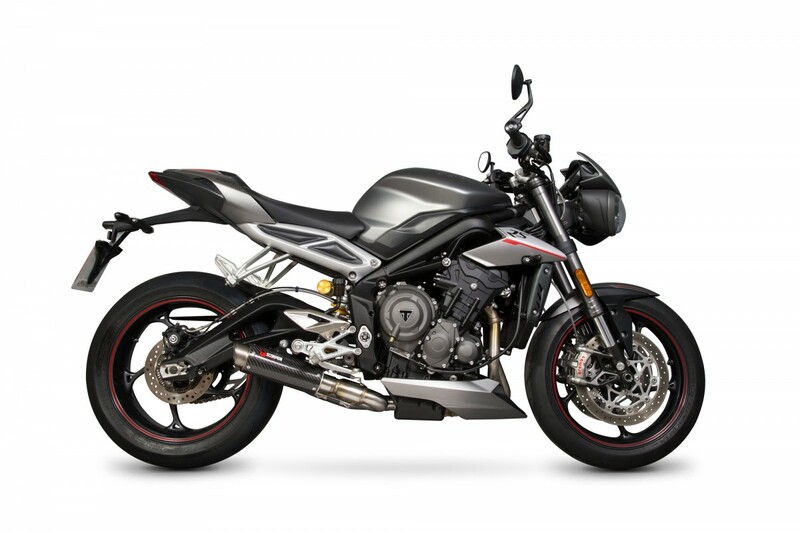 A smaller but cooler looking Triumph exhaust in my opinion that only adds to the style- nice and straight, low profile and does nothing to upset the bike’s natural charm. 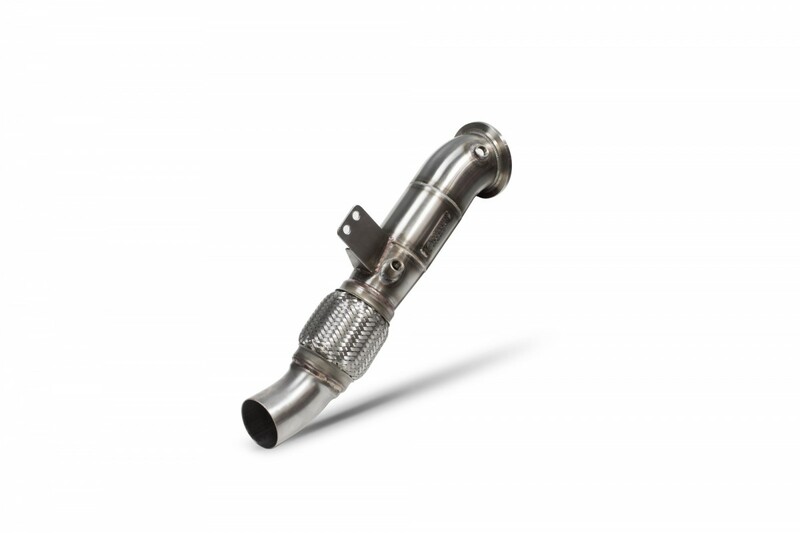 It comes with the same S bend link pipe that the Serket style exhaust comes with and is available in Carbon Fibre and Titanium to preserve that super light weight and performance quality. 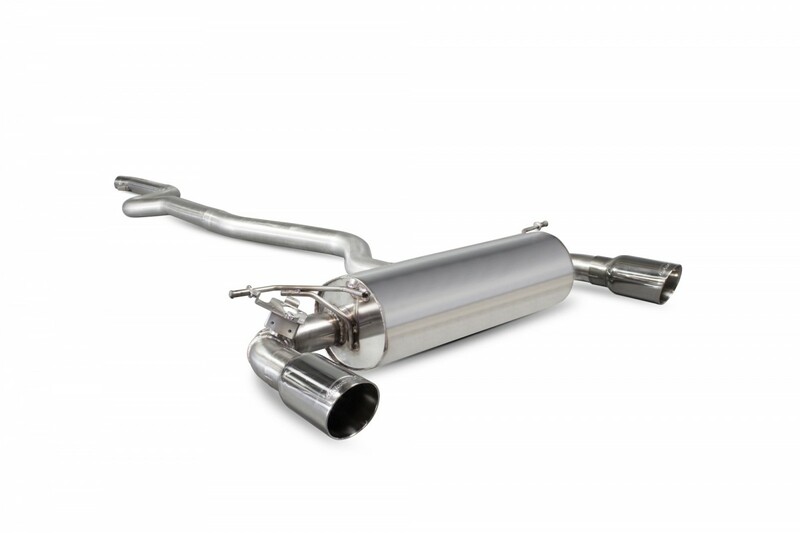 The next new exhaust is for a car; the BMW M240i. I’m not too knowledgeable about cars but if Scorpion’s track record for creating performance bike exhausts is any indication- it’ll certainly make the BMW more fun. 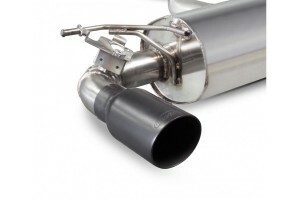 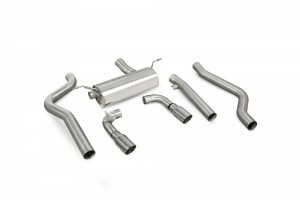 Now available is a non-resonated [meaning it’s not silenced] 80mm cat-back BMW exhaust system. It also has an active valve that works with the OEM motor and the drive mode select button inside the car. 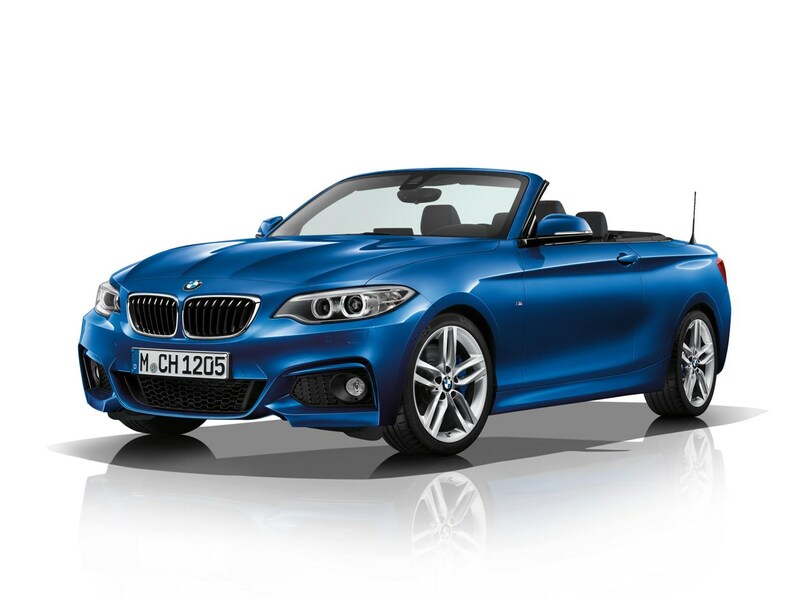 So you can feel and hear the difference in the comfort and eco driving modes. 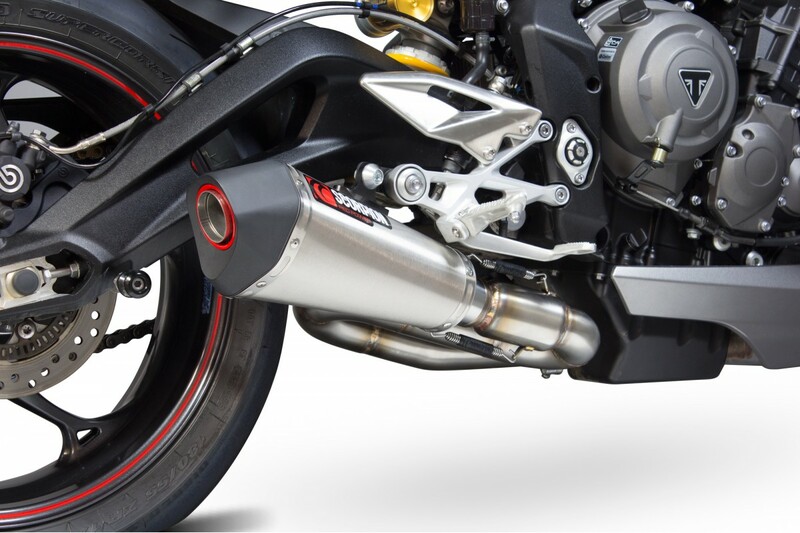 At the rear end of the system are 90mm Daytona tailpipes which are available in a polished or black ceramic finish. And to top it all off, the technicians at Scorpion have developed a 100mm high flow de-cat turbo BMW downpipe for those of you that like to tweak and tune your cars even further. 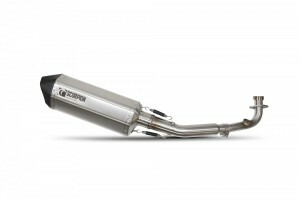 Next up is an exhaust for a smaller bike. 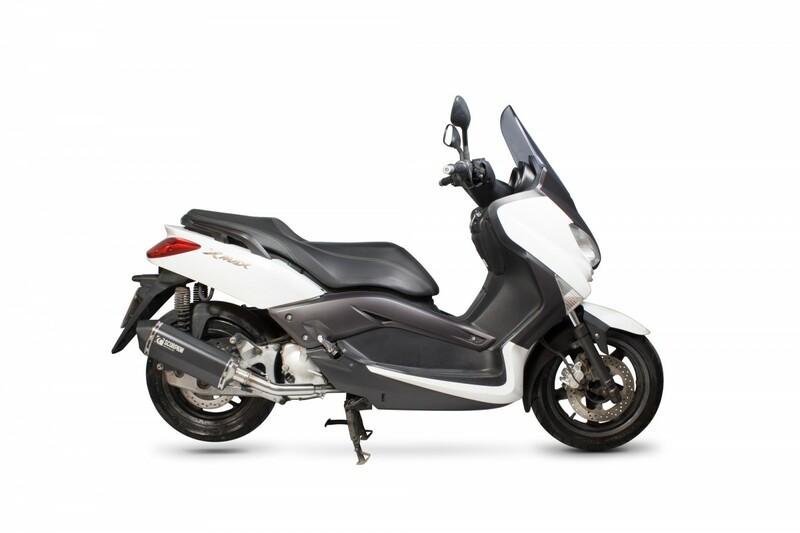 A scooter, actually- the Yamaha X-Max 125. You can now treat your X-Max to a Serket Parallel full exhaust system. The silencer comes with T304 link pipes, a rear mounting bracket and a full fitting kit. Some people may not think that there’s much point in putting a new performance exhaust system on a little 125 scooter such as the X-Max but if you do, you’ll be shaving off 3.3kg in weight and adding a modest 0.3BHP’s worth of grunt to it. The Yamaha x-Max exhausts are available in bushed Stainless Steel and Black Ceramic sleeve finishes. 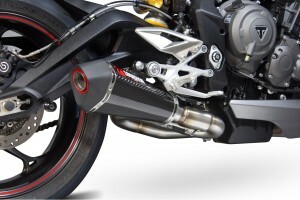 And that’s all that’s new from Scorpion for now, although I hear they’re working on new exhausts for the Honda Civic FK8 Type R and upgrades for the KTM Duke 390, so keep your eyes open for those.